Home • Young Carers Raise Awareness with a Song and Dance. Young Carers Raise Awareness with a Song and Dance. Family Action supports young carers across the country all year round through our ten Young Carers services, so when it came to Carers Week, we knew it was time for something special. 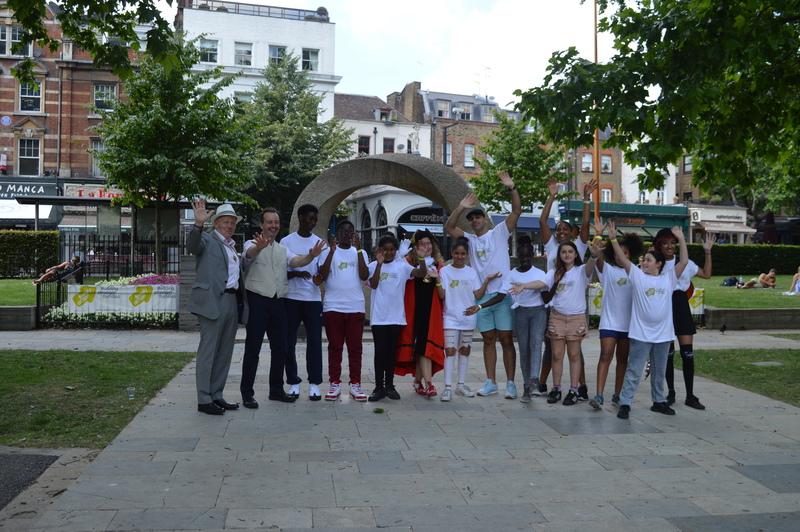 Two of our Young Carers services, in Newham and Islington and Camden, came together for an event on a sunny Saturday on Islington Green. 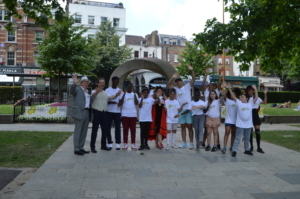 The aim of the event was to raise awareness of young carers in the local community, hoping that more will be able to access the support they need. Young carers are children or young people under the age of 18 that care for someone, such as a parent, sibling, or other family member who may have a serious mental or physical health condition or disability. The care young carers provide means they often fall behind in school, have little time to see friends or socialise, and miss out on opportunities that other people their age have. Our young carers services support children as young as 5 with emotional and practical support meaning their caring responsibility doesn’t have to define them, or hold them back. You can find out more about our young carers services here. Nine of our young carers had been working hard behind the scenes to create a dance routine for the day, choreographed by dancer OJ Budak from E4’s Stage School. They got to perform this to a captivated crowd with special guests including the Mayor of Islington! This was not the only performance of the day, with one of our young carers giving a touching solo performance of a song she had written herself. It was her first time performing in public and there were definitely a few misty eyes in the audience. In celebration of our young carers and all their hard work in planning and staging the day, each of them were presented with a “Champion Young Carers” certificate in a ceremony at the end of the day. We hope that the event will encourage people to consider the needs of the young people around them and lead to more young carers getting the support they need.